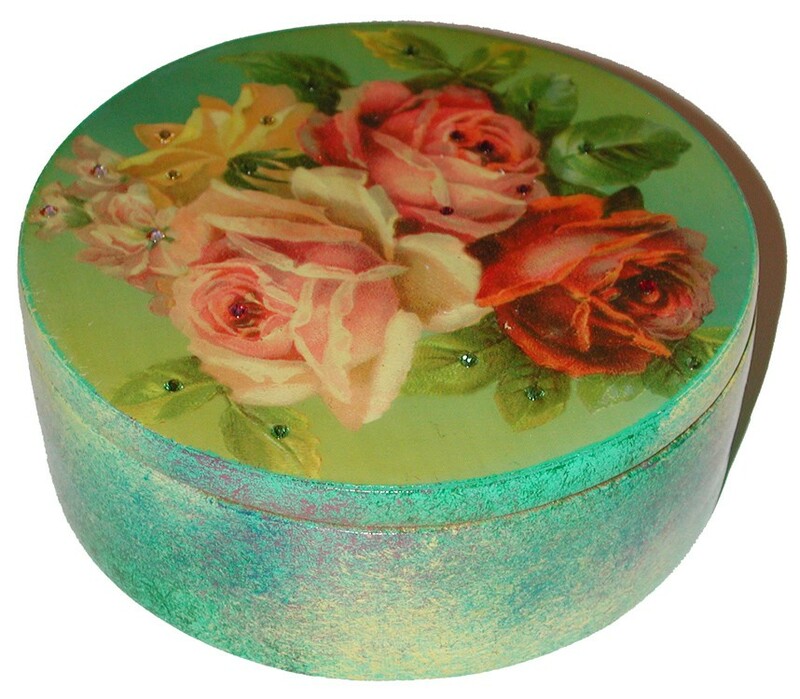 Michal Negrin jewelry box. 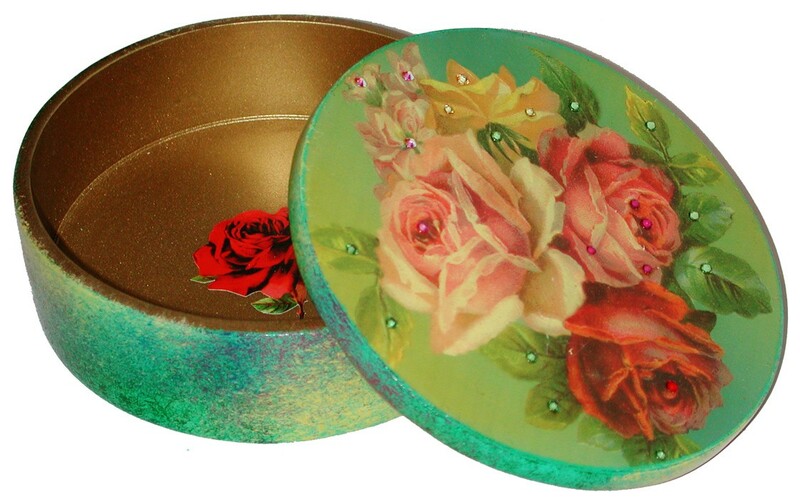 With a multicolor Roses pattern and Swarovski crystals. 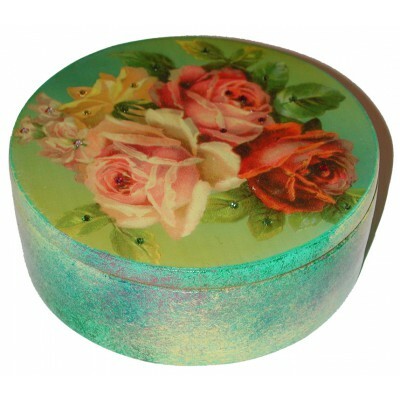 Measures 1 3/4 inch high and 4 3/4 inches in diameter.